Sometimes, you need a video clip (MP4) instead of an image. Perhaps you’re making a montage, an intro, or an Instagram Story and want your image to last for a certain length of time. No Ken Burns effect or weird transitions – just an exact copy of the PNG but with a duration. To convert your PNG, you need to open a digital converter. Kapwing’s Image to Video tool is free and trustworthy; there are no spammy ads, and you can download your MP4 directly. Once your PNG loads into Kapwing’s editor, you’ll see a preview with some options on the left panel. Choose the duration that you want your video to last, anywhere between 1 second and 60 seconds. If you want your video to last for longer than 60 seconds, you can loop your MP4 afterwards to extend the length. 15 seconds is the default length of time. You can also choose the size of your MP4. You can change the aspect ratio so that it’s idea for Twitter, Facebook, Instagram, Stories (9:16), or YouTube. Once your preview looks correct, click the “CREATE” button to process your MP4 with the specified length. 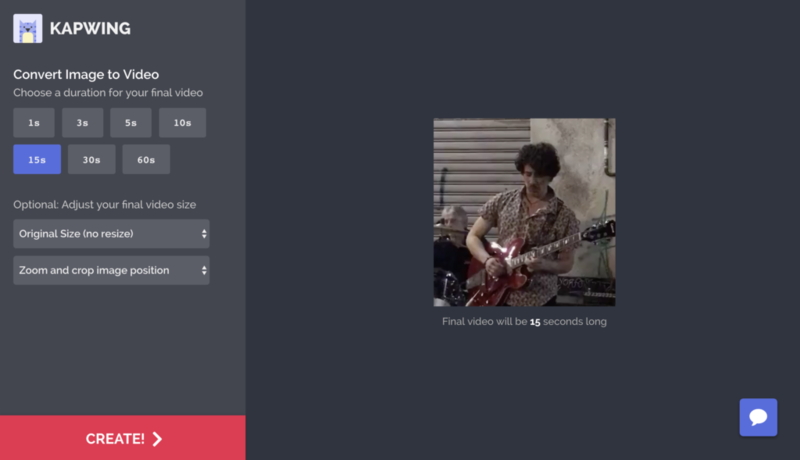 After Kapwing processes the video, you can download the file to publish on social media, share with others, or use in a different project. Kapwing is free to use, but there is a small watermark in the bottom corner for free users. You can pay a small fee to remove this watermark or subscribe to Kapwing’s Pro plan for unlimited no-watermark videos. Thanks for reading! 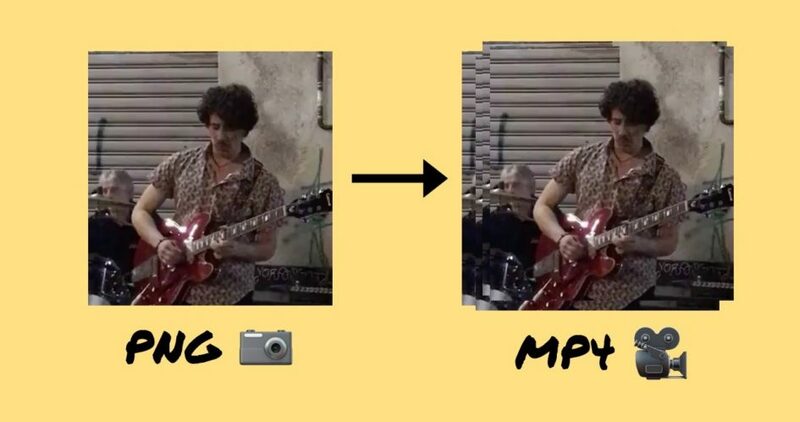 If you want to put multiple photos together into a video slideshow, use the Kapwing Video Maker instead. If you want to use a more powerful PNG and MP4 editor that lets you add text, music, and more, try uploading your image in Kapwing’s Studio and using the Timeline to adjust the length of the output.